Companies are becoming publishers and producing more content than ever before. Every brand is competing for attention. With an influx of social channels launching each month, even with the proper goals, it’s easy for content marketing efforts to fall behind. Ensure your content is engaging, convert your customer base and continue to compete in 2016 by revising your strategy to match audience consumption habits. Each day 4.75 billion items are shared by Facebook users, 2 million blog posts are published and 500 million tweets are sent. The volume of content being produced further complicates the never-ending debate of what is more important: quality or quantity. Neither facet of your strategy is interchangeable. No one is going to find value in content that isn’t high-quality and, if you aren’t publishing consistently, you won’t reach your audience. As the amount of shared content is increasing, the attention span of consumers is decreasing. A 2015 Microsoft study found that the average attention span declined from 12 seconds in 2000 to 8 seconds in 2013. More competition paired with a shorter average attention span, makes it less likely that you’ll reach your intended audience. To adjust your efforts for this imbalance, scale quantity for quality. If you produce one substantial blog post per week instead of six mediocre pieces, your content will have a greater impact. The higher caliber post will prove to be more effective and result in your audience sharing it more broadly. Scale quantity and reach your audience by determining how each piece will be repurposed and redistributed. Crafting sharable, high-quality content is costly and time consuming. Regularly distribute exceptional content and simultaneously stretch your budget by reformatting and repackaging existing assets. Before investing, ensure optimal distribution by outlining how content will be repurposed and where and when it will be redistributed. Ziploc is an example of a brand who often recycles owned assets as part of its strategy. In early October, the brand published a blog post on Easy Holiday Snacks for Kids. Given the proximity to both Halloween and Christmas, Ziploc included recipes for both occasions. The brand reused and redistributed portions of the post throughout the holiday season in a variety of formats including Facebook images and YouTube videos. Choose an episode title fewer than 140 characters to ensure it’s easy to Tweet and optimal for sharing on social networks. Use the episode thumbnail image for a blog post header or pin on Pinterest. Promote the episode on Vine, Instagram or SnapChat by sharing behind the scenes photos and videos of the podcast recording. Extend the lifespan of your content by planning out how you will repurpose it prior to investing time and money on new creative. With nearly every brand investing in publishing, producing content without an angle is a wasted effort. Stand out amongst the noise and truly resonate with your demographic by taking a clear stance on a subject matter and positioning yourself as an expert in your industry’s space. Set your brand apart by investing in areas of coverage that haven’t been explored by competitors. Or, enter an existing conversation with content that’s historically been produced by traditional publishers and not a brand. 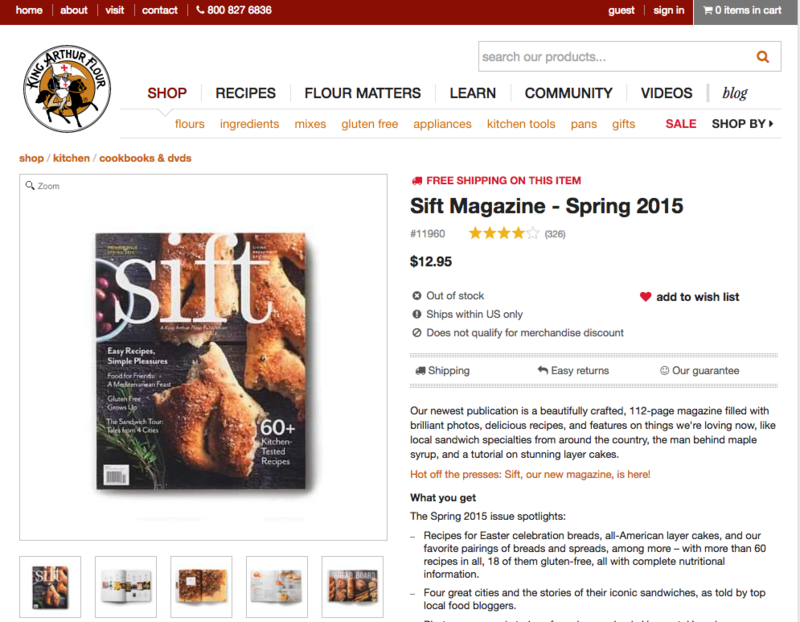 King Arthur Flour saw an opportunity in the marketplace and, in February 2015, debuted its print magazine Sift. Each 100+ page issue of the quarterly publication includes recipes for the advanced home baker and food related feature articles and photo essays. The brand distributes Sift at grocery chains and offers readers the ability to subscribe via its website. According to King Arthur Flour, the initial 100,000 print run of the magazine’s first issue was reported by Costco as one of the retailers top-five-selling titles for March 2015. Proving that–even in a digital era, print is far from dead. Investing in the volatile print industry isn’t a common tactic for a brand. Nor is it common for a brand to state it’s a media company. But that’s exactly what Marriott has done. The international hotel change has set its sights on competing with traditional media companies. With a digital TV series, short films, publishing partnerships and a hyper-local digital travel magazine, Marriott looks more like a travel media group than a hotel chain. This robust approach to content repositions the brand, creates awareness and solidifies the hotel chain’s place in a competitive industry. With a reported 7 billion daily mobile views, Snapchat is rapidly encroaching on Facebook’s overall 8 billion daily video views. Brands are aware that, in order to compete on most major channels, a video strategy is necessary. In 2016 it’s crucial that mobile video become a core component of a business’ marketing efforts. The Cisco Visual Networking Index predicts that, between 2015-2019, mobile video will rapidly expand at a compound annual growth rate (CAGR) of 66%. 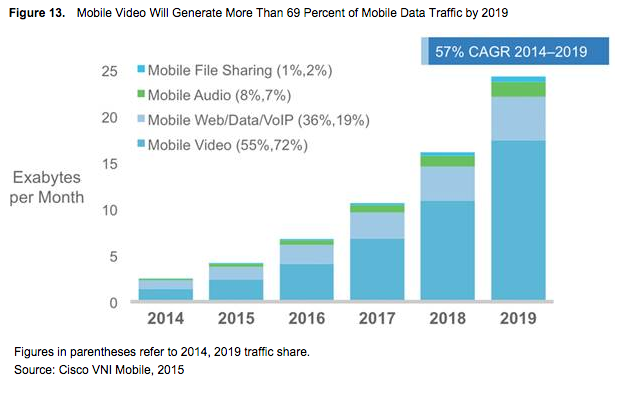 The study suggests that by 2019 mobile video will account for 79% of total mobile data traffic. Start incorporating mobile video into your existing plans by allocating budget and resources for short video content. Distribute these videos on platforms like Snapchat, Vine, Periscope or Instagram. Produce with a mobile-first mindset and vary the length and format of your videos based on their context and distribution channel. As you gain feedback and measurable results, scale to longer, mobile-friendly videos that can be shared across platforms like Facebook or YouTube. Consumers are increasingly communicating through mobile messaging apps like Facebook Messenger and WhatsApp. Integrate these apps into your content efforts by prioritizing the networks that resonate most with your target audience. Understand where your audience is active by conducting a survey through SurveyMonkey and sharing it via Facebook, Twitter or an email newsletter. Unlike seasoned networks that have a defined set of best practices, WhatsApp, WeChat, Line and other messaging services are newer and often under used by businesses. The stakes aren’t as high so brands are free to experiment, get creative and discover what works and what doesn’t. A less saturated space gives brands that are willing to take risks and invest early the ability to stand out. With over 700 million active monthly users on Facebook Messenger, Hyatt saw an opportunity. The hotel chain became the first brand within the travel industry to test Facebook Business Messenger as a customer service tool. Customers can reach the hotel chain on Messenger without liking Hyatt’s Facebook Page or being friends with the hotel. By searching for “Hyatt” within Messenger, customers can start a dialogue with the brand. From booking reservations to checking room availability, Messenger streamlines Hyatt’s communication with its customers. Celebrities are also creating content for messaging apps. Sir Paul McCartney’s official profile on the Japanese-based messaging app, Line, exceeds 10 million followers. With an official Twitter profile of over 2 million followers and a Facebook Page with upwards of 6 million likes, the singer’s popularity on Line is significant. McCartney acknowledged his fanbase by releasing a set of “sound stickers” to coincide with his tour of Japan. 24 stickers were created exclusively for Line and contained audio of phrases recorded by McCartney in Japanese and English. In addition to stickers, McCartney hosted a Q&A session where he took fan questions from Line. This level of one-on-one communication and personalization is a component of messaging apps that brands can use to drive deeper engagement with their audience through social media publishing. What changes does your brand need to make to its content marketing strategy in order to continue to drive results in 2016? Share your comments, questions and concerns below.